How would it feel if you were being watched, but didn’t know who was watching? If you knew you were being followed, but couldn’t see who was following? If you received anonymous letters? If you crossed continents to escape your past and your mistakes, then discovered those mistakes haven’t been forgotten? If, after years of solitude, you suddenly fell in love but knew you had no right to a love story? After a scandalous affair with an embezzler, journalist Anne Pierson has come to hide out in backwoods Turkey. If her life has been one of dull routine for the last ten years, at least she’s felt safe — even if this isn’t a safe country, even if the police can’t be trusted, even if the slightest whiff of gossip can turn friends into implacable enemies. And now, a passionate attraction to archaeologist Renaud Townsend threatens to compromise her and everyone she knows. Important artifacts are being stolen from the archaeological site of Karakuyu, and Renaud Townsend, site director, is determined to discover who is responsible. All the clues point to Anne Pierson’s involvement, yet he can’t believe she’s guilty. But what if he’s wrong? What if he’s letting a one-night stand with a beautiful woman cloud his judgment? And what if both he and Anne are in deadly danger? intensity to give love a second chance? 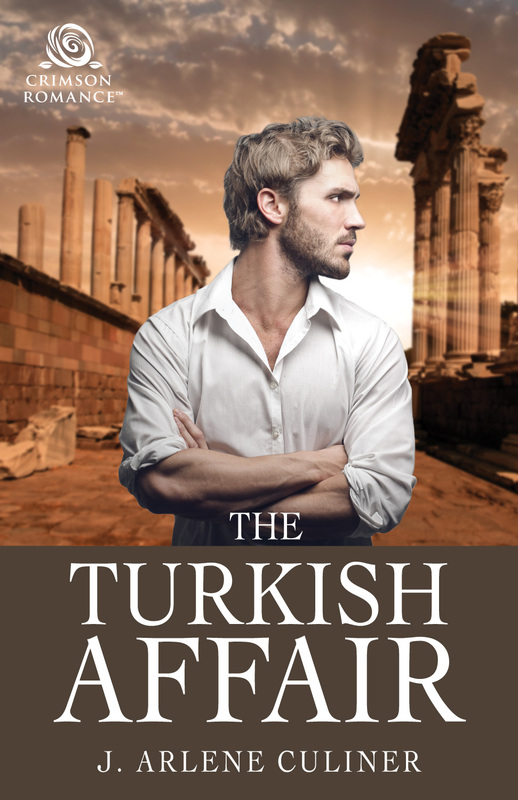 Arlene will be giving away an epub/mobi copy of THE TURKISH AFFAIR to one lucky person leaving a comment or email entry. Giveaway ends 11:59pm EST Dec. 14th. Please supply your email in the post. You may use spaces or full text for security. (ex. jsmith at gmail dot com) If you do not wish to supply your email, or have trouble posting, please email maureen@justromanticsuspense.com with a subject title of JRS GIVEAWAY to be entered in the current giveaway. Oh yes, Janice. Is there anything more wonderful than curling up with a good book while winter rages outside? And your description of romance as icing is just perfect. Thanks for your visit and comment! an intersting destination. I've read the book so don't need a copy but it reminds me of what is happening right now in the news about Turkey. A good read. Thanks. Glad you enjoyed the book. And yes, today's political situation in Turkey is very similar to many of the things I mentioned in the story. Wow, the Turkey setting sounds lovely, and the premise is equally intriguing. I'm in. :D Email is lily at lily black books dot com. Unfortunately, I have no print copies to give away at this time. They are available though through Amazon.